Home » Lake Wales employmenttitle_li=Lakeland Employmenttitle_li=Lakeland Jobstitle_li=Polk County communitytitle_li=Polk County employertitle_li=Polk County employmenttitle_li=Polk County jobstitle_li=Polk County Staffing Servicetitle_li=Winter Haven employmenttitle_li=Winter Haven jobs Which Type of Employment Is Right for You? If you follow current openings at PHR here on our website or on our PHR Facebook page, or if you have spent any amount of time looking through openings with other staffing services of any kind, you’ll have seen terms such as “full-time”, “temp-to-hire” or “permanent” used to describe different jobs. These terms are somewhat self-explanatory, but you might not totally understand what differentiates “long-term” from “temp-to-hire” nor understand what the benefits are to each type of position based on what you’re looking for in a job. Not understanding these titles can throw you off when you’re sifting through jobs and trying to decide which ones are best for you. So, what are the pros and cons of these types of employment? This type of position is usually popular with staffing services, and is pretty much what the name implies. This is not a long-term job that offers career options. Rather, it’s for a limited period of time (a few weeks to a few months usually) and (typically) means you are filling in for a permanent employee that is on an extended leave (maternity leave, bereavement leave, sickness or hardship, etc.). This type of employment is best if you enjoy a change of pace often, and don’t require a long-term, consistent position and income. There are employees who rotate through multiple temporary jobs each year and consider that their full-time job. Likewise, these types of positions are great for those seeking to make a little extra income for a limited time, but don’t want to commit to a secondary full-time job for more than a few weeks or months. Long-term jobs, while not permanent, are usually contract jobs that will last for a year or more. They can do a lot to bulk up your resume and qualifications if you are establishing yourself in a particular career field, and they can turn into more permanent positions occasionally if your boss or supervisor is impressed by your performance during the duration of your contracted time. However, they don’t always mean permanence, and they can sometimes involve moving to be closer to the contracted position, so there are more factors to consider with these types of positions. For those without families or those who can manage to be away for long periods of time, it could be worth traveling to work a long-term contract position (or, even better, you might live near the position to begin with!). However, if taking a long-term contract might mean moving your family, or if it will put a strain on your household to have you gone for long periods of time, you might want to think through other options. Temp(Temporary)-to-Hire jobs are positions that start out as a short-term temp position with the option of turning into a full-time, permanent job. Oftentimes, jobs with this title are with employers that want to “test the waters” with candidates before hiring them on permanently and going through the paperwork that comes with adding a new member to their full-time staff. Using a staffing service like PHR lets these business owners try out various applicants, and when one is a great fit, they will usually go on to offer the full-time opening to that candidate. While not always a lead-in to a permanent position, you can usually count on them turning into something more if you do a good job with the work given. This is a straightforward, full-time job opening. Applicants apply, and if accepted, they are hired on and become a member of the staff at that particular business, or at the very least, know that they are guaranteed a minimum of 40 hours each week of paid work. There can be a lot of variance with these types of positions though, so it’s always wise to discuss any questions with your staffing service (like us here at PHR) or with the potential employer so you are clear on what the job and/or contract entails and what it means for the long-term. We hope this clears up any questions about the openings you see here on our website and in the job-hunting world at large. 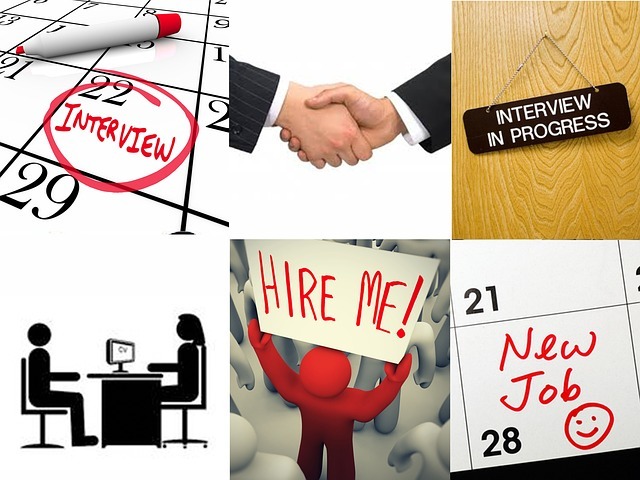 If you are ready to get hired, we know we can find the perfect fit for you! Employers throughout the greater Polk County area (and beyond!) trust us to find only the best applicants, and we’d love to add you to our list. Give us a call to get your resume in our hands, or apply for one of our current openings online now!